Manish Gallexie 91 launched by Manish Buildwelll Pvt Ltd is an upcoming commercial project located at Sector 91 next to Dlf Galleria in Gurgaon. 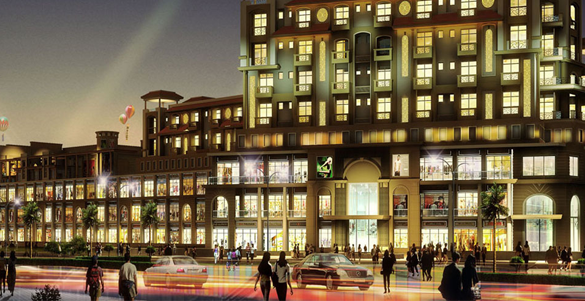 This Project Comes with high street retails shops, food court and service apartments. Already home to more than 10,000 families and well inhabited by residential apartments, housing colonies, mega townships, Sector 91 is next to IMT Manesar also has International Banks, esteemed Educational Institutes like the upcoming Modern School. What's more, taking advantage of the magnanimous footfalls, Manish Gallexie 91 is all set to be the "Neighborhood Bazaar" of this a unit area. So be it the plethora of retail, entertainment choices and cuisines options, Manish Gallexie 91 will be your answer to everything a neighborhood market could ask for. Step foot into Manish Gallexie 91, step foot in The Heartbeat Of Gurgaon. It comprises Double Height Retail Shops - Convenient Food Courts - Cineplex & Service Suites. Manish Gallexie 91 a multi faceted commercial space with spacious shops, office spaces, retail stores, multi cuisines restaurants, Multiplex and lifestyle stores you are on the doorstep of controlling a successful enterprise.